Titled "A New Hell", the update adds a number of new ways to remind yourself that the unending war to defend Super Earth is indeed pretty hellish. For the veterans out there, three new difficulties have been introduced: An Exercise in Futility, The Definition of Insanity, and the Inner Circle of Hell, which correspond to levels 13, 14, and 15, respectively. As if that weren't enough, the Shadow, Obsidian Observer, and Legionnaire enemies have also been dropped into the game for a truly demoralizing experience. 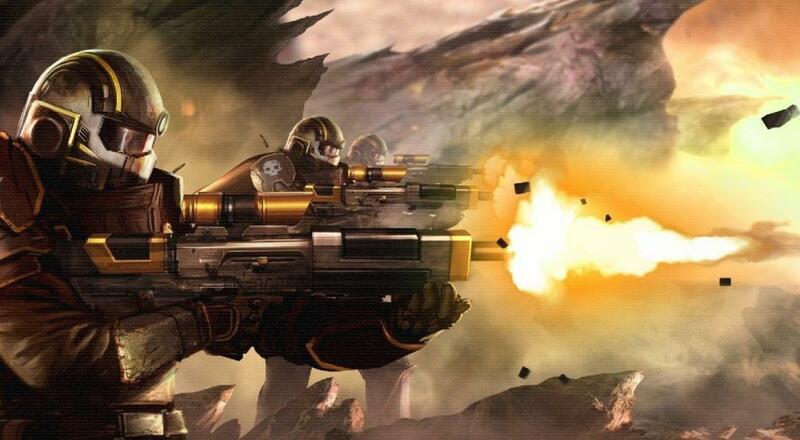 Thankfully, the Helldivers have gained a single, meager advantage from the update in the form of the MGX-42 Machinegun, shown above. Given everything else "A New Hell" is adding, I'd say you're going to need it. Helldivers allows up to four players to fend off the alien menace in both local and online formats, as well as any combination thereof. It's been out since 2015 on PlayStation 4 and PC. If you haven't read our review of the game, be sure to check it out here. Page created in 0.3681 seconds.